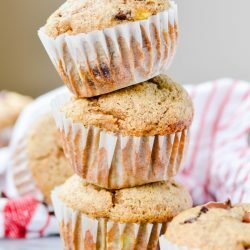 Supremely moist banana muffins with a hearty whole wheat texture and flavor. 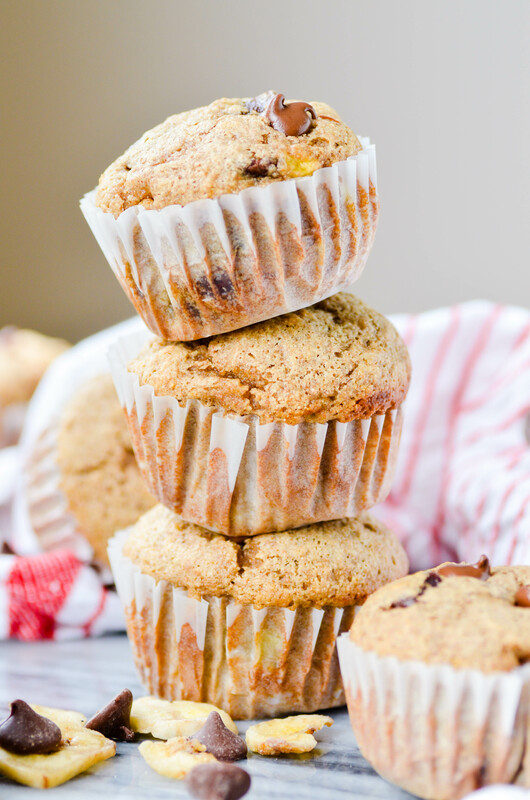 These muffins are great for nutritious on-the-go snacks or for an easy breakfast! It’s not always easy in our house to make good, nutritious choices at meals or snack time. Especially with the volume of sweets that I’m cranking out on a daily basis! My husband and I accepted a long time ago that cutting out sugar and sweets in our house just isn’t a super realistic expectation. So instead of eliminating the junk food, we just work to eat it in moderation alongside fruits, vegetables, and whole grains. 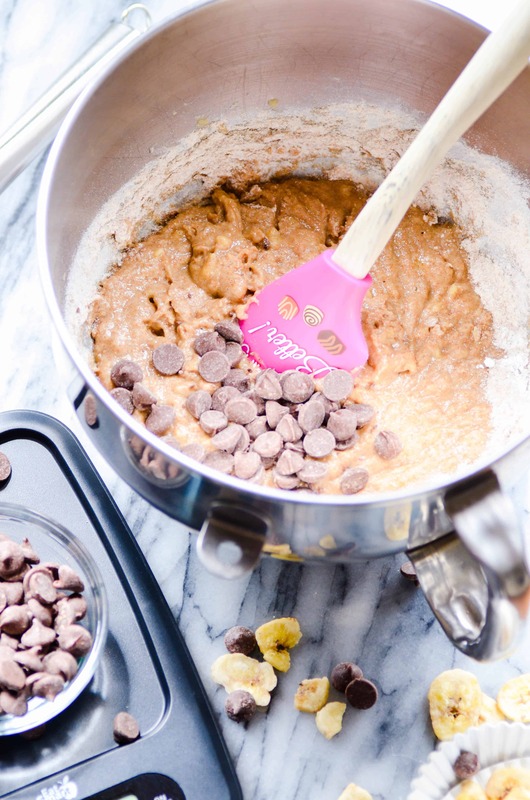 We’ve picked up a handful of healthy habits that help keep us on track, and I thought I’d share some of those with you guys today along with my favorite recipe for Whole Wheat Chocolate Chip Muffins. This recipe is brought to you by my friends at EatSmart Products. Maintain these daily healthy habits to balance out enjoying your favorite treats in moderation. Drinking 100 ounces of water every day. I like to use a 20 oz. blender bottle for my water. This helps me drink 20 ounces with each meal and snack to reach my 100 ounces each day! Eating consistently throughout the day. 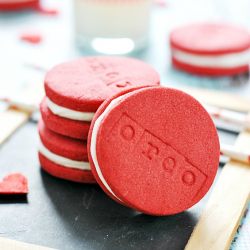 This one is absolutely VITAL to me if I’m going to get through the afternoon without chowing down on an entire batch of chocolate chip cookies. I even have an alarm on my watch that reminds me when it’s time to eat snacks and drink my water, so that I don’t get overly hungry (which will 100% of the time result in a binge). We eat a serving of fruit or vegetables with every meal and snack. Even if the snack is a handful of M&MS, I still make sure that I eat a handful of carrots or an orange at the same time. We save our soda as a treat for the end of the day AFTER we’ve had our 100 ounces of water. Balance! We weigh our food. 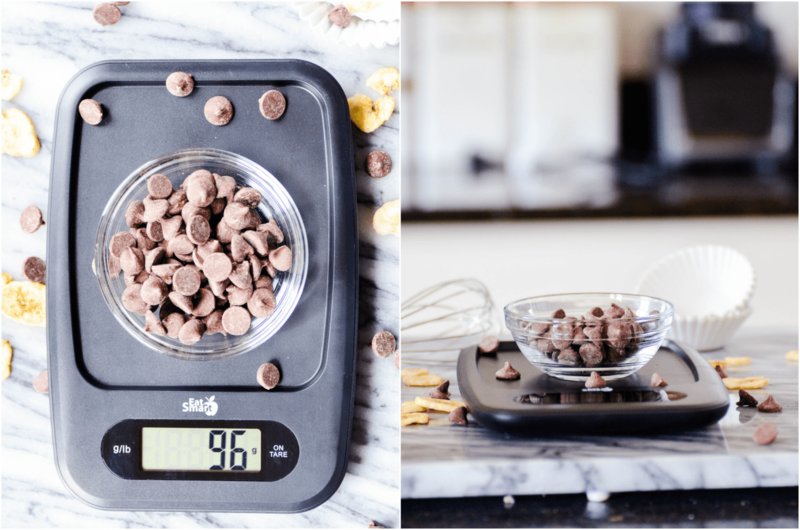 There are three reasons that I prefer to weigh our food instead of measuring with cups: 1) it’s easier to do, plus I don’t have to dirty a measuring cup. 2) It’s more accurate. And 3) it’s really the only way I can figure out how to portion out a big pot or casserole dish of something at dinner. I seriously could not function without my food scale on a daily basis. I use this one, and it’s super affordable. PSSSSST! ARE YOU FOLLOWING EATSMART PRODUCTS ON INSTAGRAM YET? 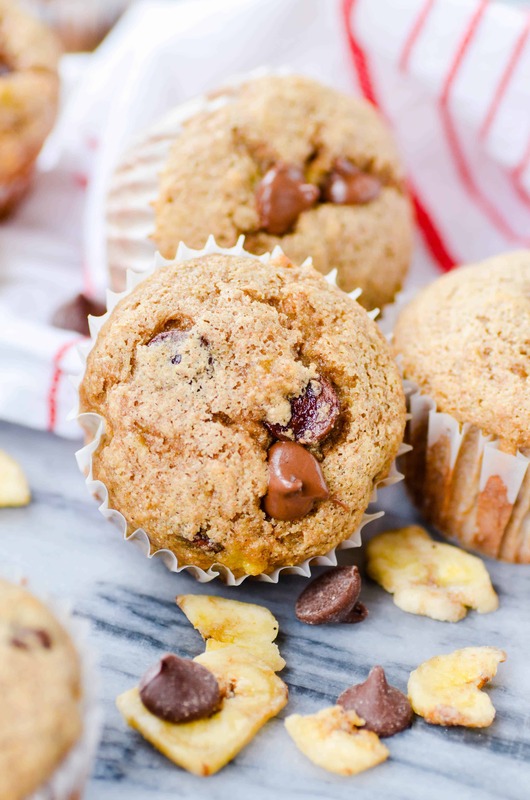 These Whole Wheat Chocolate Chip Banana Muffins balance whole grains, fruit, and healthy fats with a little bit of indulgence. These muffins are extra moist thanks to 3 whole bananas, coconut oil, and an egg. 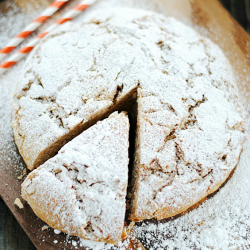 You can even minimize the refined sugar by substituting honey for the brown sugar. I did this a few years ago in this Honey Whole Wheat Banana Bread. Preheat oven to 350ºF. Prepare a muffin tin with liners and lightly spray with nonstick cooking spray. Using an electric mixer, beat the ripened bananas until mostly smooth (some remaining lumps are okay). Mix in the brown sugar, egg, coconut oil, and vanilla. Add the flour, baking powder, baking soda, cinnamon, and salt; and mix until batter forms. 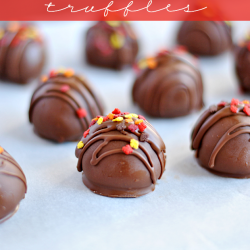 Fold in the chocolate chocolate chips. Divide the batter evenly between the muffin cups. Bake for 20 minutes.